Aadhar project of India or UID project of India is often portrayed as a tool of social inclusion. But this is just a façade. The truth is that Aadhar is a tool and instrumentality of social oppression and social exploitation of Indians. To achieve this exploitative purpose, unique identification authority of India (UIDAI) has been established. Despite the ferocious protests by civil liberty activists, neither Aadhar project nor UIDAI are empowered by a legal framework. Even the National Identification Authority of India Bill 2010 (Bill) has failed to provide adequate safeguards against privacy violations and data breaches. Interestingly, even if the Bill proposed by UIDAI is made an enforceable law, it still remains unconstitutional. According to Praveen Dalal, Supreme Court Lawyer and leading Techno Legal Expert of India, even if the Bill becomes an enforceable piece of Legislation, it still is vulnerable to the attacks of “Unconstitutionality”. 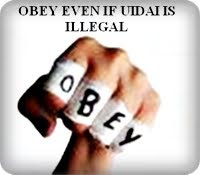 In the absence of “Proper Laws and Adequate Safeguards”, both Aadhar Project and UIDAI would remain “Unconstitutional”, warns Praveen Dalal. The privacy rights issues are currently pending before the Supreme Court of India. It would be a good idea to strengthen Privacy and Data Protection Laws of India by “Judicial Activism” in the absence of “Parliamentary Will”, suggest Praveen Dalal. Behind the façade of social inclusion and welfare scheme, the naked face of Aadhar and UIDAI is very apparent. Aadhar project is an instrumentality of e-surveillance in India. Its only purpose is to serve the unlawful interests of intelligence agencies of India and law enforcement demands in India. Let us not be fooled by the façade of social inclusion and welfare scheme and ask the government of India to enact suitable and adequate privacy and data protection laws before Aadhar is fully operational in India. « Would Cabinet Committee On Security Impose Natgrid Upon Us?